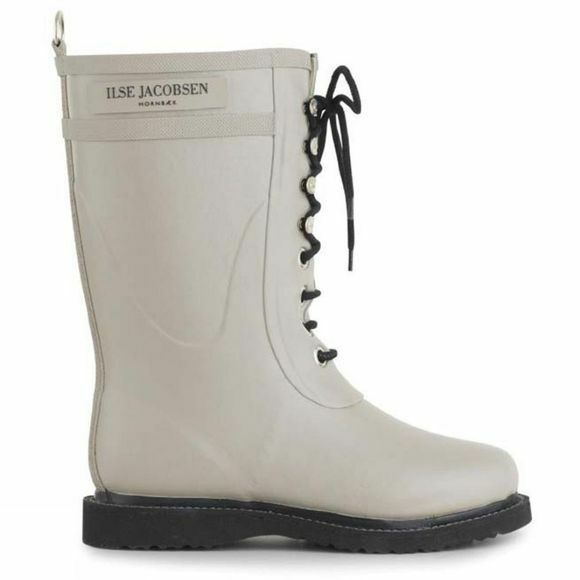 The Womens Classic Mid Lace Up Boot from Ilse Jacobsen are handmade wellies can withstand even the hardest torrential downpour. 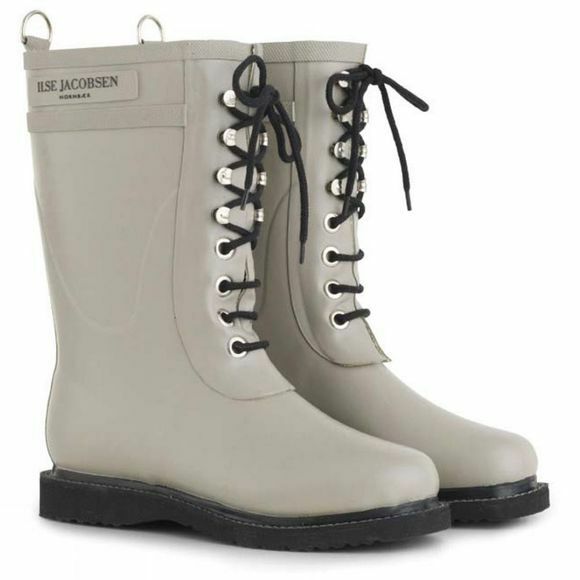 Made specifically to deal with wind and water, our wellies can help you love the rain.We have chosen to make our wellies out of the finest single-estate 100% natural rubber from sustainable harvests. This pure, natural rubber is mixed with our own secret recipe, making the fundamental composition 80% pure, natural rubber and 20% secret recipe. Entirely PVC-free, our boots contain no animal by-products. The result is a sturdy and reliable companion for rainy days.